As strange not look such a comparison, but these devices actually have a lot in common. The new line of phones Galaxy, has received the designation letter A, phones went on sale in late 2014, and the model A7 in early 2015. Model A3, A5 are available in two types: with support for 1 or 2 for two SIM cards, respectively, they have different markings. A7 is only available in versions with support for two SIM cards, but an interesting point, if you decide to use a memory card, then insert a second SIM will not work, because the second slot for micro SD / SIM card. 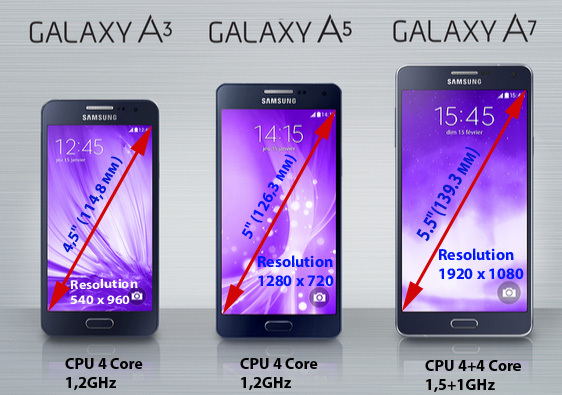 The smartphone uses AMOLED, until it is the best screens available on the market. Samsung also produces various modifications smartphone for different countries, such as Germany proposed a modification to the additional battery (non-removable battery in the phone) which can be connected to extend the battery life of the device. 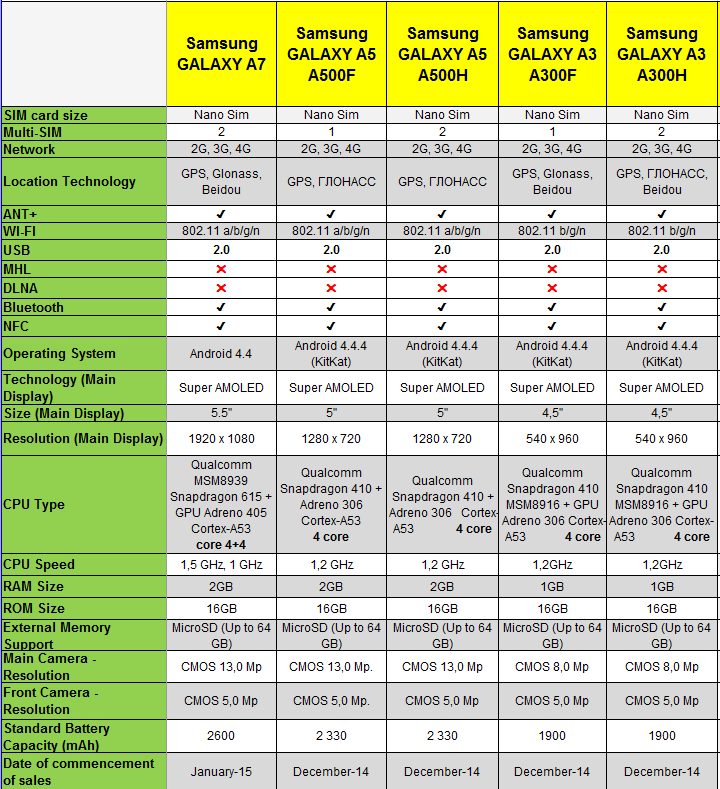 In general, the purpose of this thread devices – give users a premium design, which resulted in the quality of materials, specifications were deliberately understated, that would not create competition flagship Galaxy S.
Table Specifications phone Galaxy Series A.